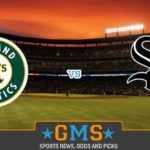 This game will start a three game series between the Oakland Athletics and the Chicago White Sox, that is going to be played at the worst name field in all of sports, the Guaranteed Rate Field. At the time of writing, neither team has finished their last game of their previous series, so we will look at the stats from each team with that one game missing. The Athletics are coming are coming from a four game series which they lost, by losing three straight games, that ended in 4 – 1, 8 – 4 and 5 -1 scoreboards. The White Sox, on their part, are coming from a three game series against the Minnesota Twins, which they started by losing the first two games. Both games ended with close results, with the first ending 9 – 7 and the second 4 -2 to give the Twins the upper hand. These two teams have had very bad season, hanging closer to the bottom of the table than to the top. The White Sox’ season has been filled with ups and downs, having won thirty one and lost thirty nine of the seventy games they have played in 2017, for a winning percentage of .449 that has them as the last placed team in the central division of the American League, seven games behind the Cleveland Indians, but only a half game behind the Kansas City Royals and three and a half games behind the Detroit Tigers. They have to receive the Athletics at the Guaranteed Rate Field, with a home performance that has been good, having won fifteen of the twenty seven games they have played at home, for a .556 winning percentage when playing in front of their home fans. The Athletics, on their part, have won thirty one and lost forty one of their seventy two games in 2017, for a winning percentage of .431 that has them as the last placed team in the western division of the American League, seventeen and a half games behind the Houston Astros, and four and a half games behind the Texas Rangers and the Los Angeles Angels of Anaheim in third place. They visit the White Sox with a terrible away record, having won nine and lost twenty five of the thirty four games they have played at the Oakland Coliseum this year, for a .265 winning percentage when playing away from home. Both of these teams are coming into this series with very similar negative from having three game losing streaks, with the Athletics only being able to get four wins in their last ten games, but the White Sox doing slightly better by winning five of their last ten. The sophomore Jharel Cotton will be starting for the Athletics on the mound, in what will be his thirteenth start of 2017. In his previous games, he has not done so well, having won four, lost seven and leaving one game undecided. He has pitched 66.2 innings this year, allowing 66 hits, 48 runs and 13 home runs, for an ERA of 5.40 and 59 strikeouts. This series sees two teams desperate for a win, so it will be very interesting to watch who gets this first game. We believe the White Sox will get it. The total is being set at 10.5, so we suggest you go for the over.